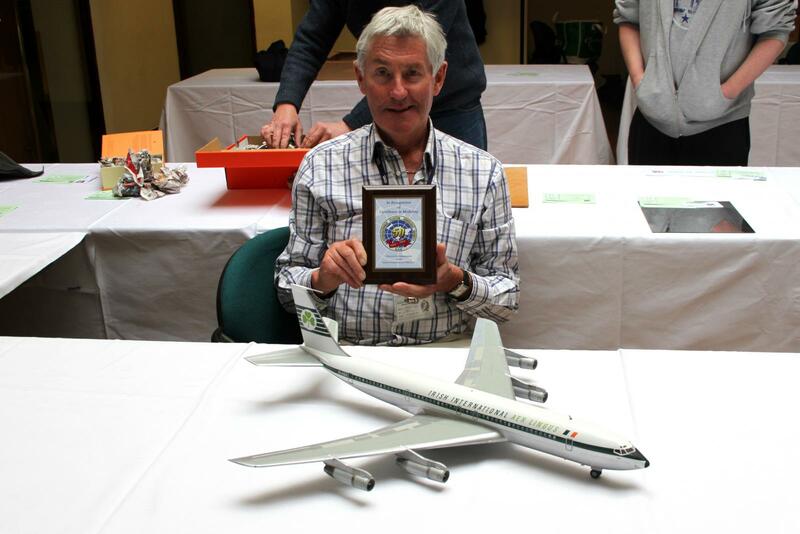 The model in question is a Boeing 707 airliner. 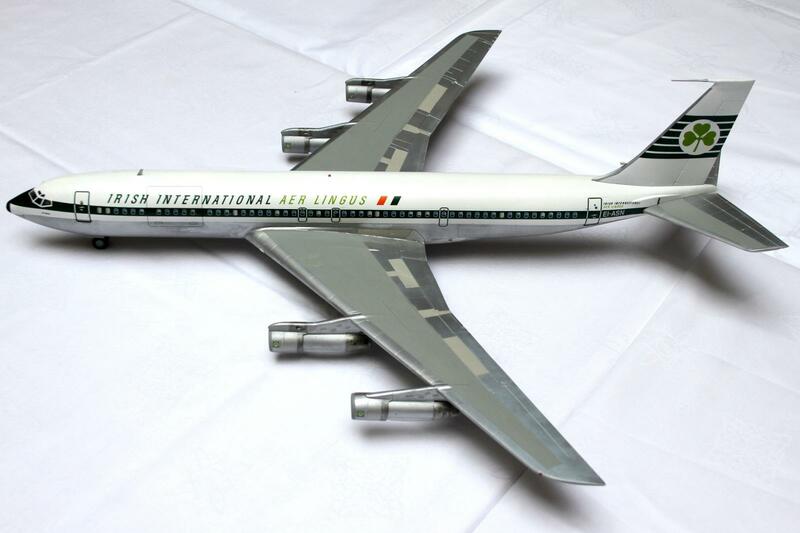 This is in 1/144th scale, and represents one of the first Boeing 707’s, in service with Aer Lingus, the Irish national airline, in October 1964. The kit is an Airfix kit, (kit no AX04170), which was first released in 1963. The kit was built generally from the box, and finished with a mixture of Humbrol enamel and Alclad paints. Aftermarket decals were used for the Aer Lingus markings – these were sourced from a specialised decal set made by Max Decals, an Irish-based decal supplier. 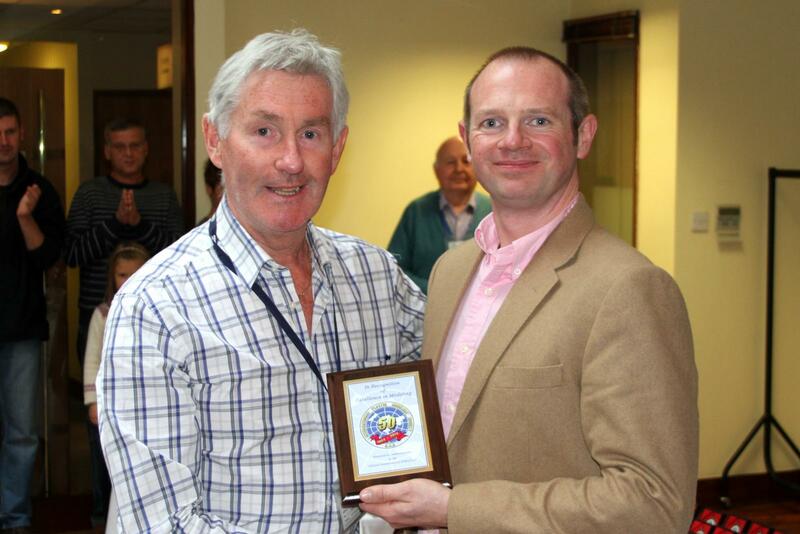 This company provides decals for all of the various aircraft used by Aer Lingus, from the late 1930’s up to the present livery. 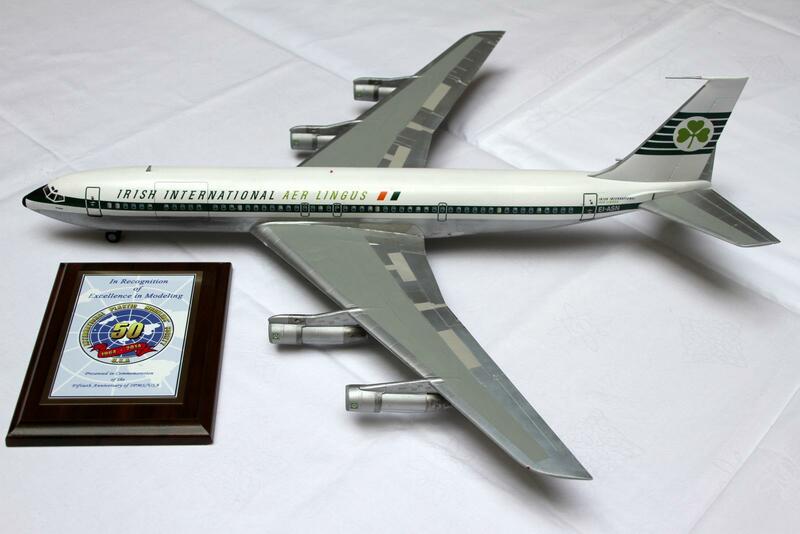 The livery here was the livery that was used by Aer Lingus during the 1960’s.